In a world of uncertainty and rapid change, what kind of strategy should guide the IFRC through the challenges ahead? This was the heart of discussion in Antalya on Tuesday as IFRC hosted an workshop aimed at setting the stage for the development of Strategy 2030. While official consultations don’t begin until 2018, it was clear that a “common thread is a recognition that the pace and scope of change we are witnessing today are unprecedented,” in the words of Dr Jemilah Mahmood, IFRC Under Secretary General, Partnerships, who introduced the workshop. Many National Society representatives agreed and spoke of the challenge of adopting long-term strategies in such tumultuous times. “We don’t know what kind of world we are going to have in ten years time so how do we plan for it?“ asked one participant, adding that for this reason the strategy should be aspirational and not a detailed plan of action. Several others agreed, with one saying the strategy therefore should articulate the characteristics or skills we need to develop and another arguing for “a visioning document with just one common dream that all National Societies can get behind”. Still others pointed out that there needs to be more accountability for implementation of the strategy, and stressed the importance of demonstrating our collective impact toward global development goals. The General Assembly has adopted a dynamic new Youth Policy to guide National Societies in “a transformative journey advancing youth engagement”. The document was developed under the leadership of the Youth Commission and driven by inputs from 116 National Societies before being formulated by young leaders representing Regional Red Cross and Red Crescent Youth Networks. 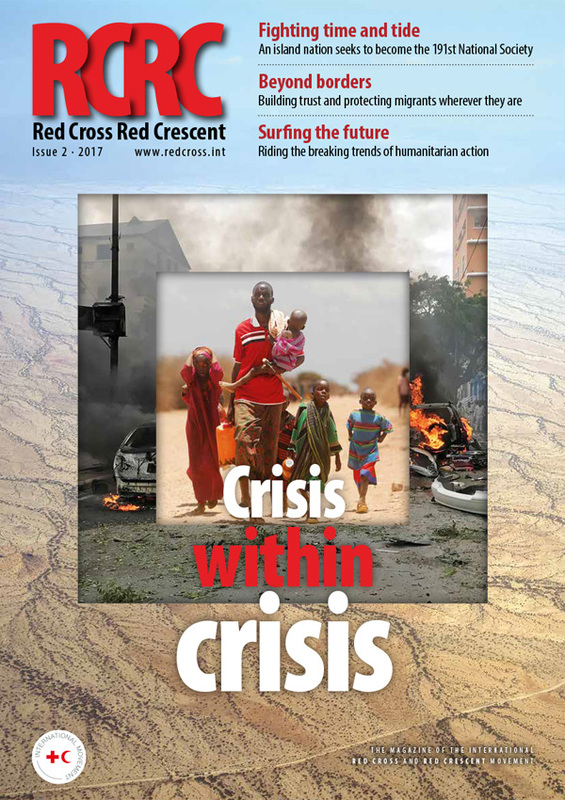 It updates the 2011 policy to reflect today’s realities and reinforce global frameworks such as IFRC’s Youth Engagement Strategy (Y.E.S.). The 2017 policy defines relevant and powerful roles and responsibilities as well as sets of indicators for National Societies and the IFRC secretariat to measure success. In Plenary, National Societies underlined the importance of securing greater resources and building capacities, and of Youth representation at all levels of the network – particularly at a time when volunteer numbers are falling. Welcoming the new policy, IFRC President Tadateru Konoé spoke of its importance and urged National Societies to “bridge the gaps between generations and speak more with one voice”. Work is progressing on a review of the standards and guidance for National Society legal and statutory bases, after Movement components agreed that the existing guidance document did not reflect the different organisational and leadership models within the network. A series of workshops held during the General Assembly led to a number of recommendations and ideas that will continue to inform the review process, including in clarity and simplicity of language, and greater focus on integrity and compliance, diversity and gender balance, and cultural sensitivity. The review was designed to ensure that a new guidance document would be fit for purpose, user-friendly, and accessible, allowing National Society leaders to make informed choices that suit their contexts, while complying with and promoting the Fundamental Principles. The General Assembly welcomed the report and asked the Secretary General to present a final version of the Guidance for National Society Statutes to the Governing Board in 2018 ahead of presentation to the 2019 Council of Delegates. The IFRC network bid an emotional farewell to President Tadateru Konoé on the final day of General Assembly, which marked the end of his second four-year term in office. Ms Annemarie Huber-Hotz, who served as ex-officio Vice-President of the Governing Board alongside Mr Konoé, thanked the outgoing President for his “wonderful commitment and great engagement, not only for vulnerable people but also for National Societies and IFRC”. She then presented him with the Henry Dunant Gold Medal of her National Society, the Swiss Red Cross. Looking back at his two four-year terms, Mr Konoé – the first Asian president in the history of IFRC, who began his presidency under the slogan “Spirit of Togetherness” – said that he had always tried to be a good listener. Having presented the General Assembly with a list of eight humanitarian challenges on its first day, Mr Konoé ended his address with eight thank yous, before wishing his esteemed successor, President-Elect Francesco Rocca, every success in leading a strong and unified IFRC. Red Cross and Red Crescent delegates have shared nearly 400 stories and experiences with SenseMaker volunteers since the start of the General Assembly.Analysis of the responses shows that most respondents (45.87%) are aged 30 or younger, with 33.6% being aged between 31-49, 18% aged 50 or over, and 2.4% preferring not to answer. Nearly 31 per cent are from Europe, 19.4% from Asia Pacific, 17.3% from Africa, 12% from Middle East North Africa and 9.3% from the Americas. Nearly 9% of participants described their region as “Global” and 2.4% declined to specify their location. What delighted or disappointed you at this conference? Go to https://goo.gl/yzsnQ7 or meet us at the stand “#itmakessense”. Also, take a quick online poll to help us chart the future of the magazine!